Residential Lots & Land WONDERFUL BUILDING SITE situated on Horse trail to the Withlacoochee State Forest. 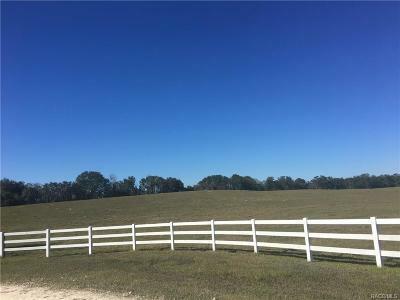 This gated community consists of 36 tracts of land and is a great equestrian community. This lot is fairly level and is mostly pasture. There is a one time road improvement assessment of $2,333. Bi-annual HOA fees are $119. Gate code required for entry.